Motor Yacht Apoise (photo above) is a 67m (219.8 feet) luxury yacht which was custom built by 2006 by Lurssen in Germany. She was ex Project Marlin. The sleek exterior lines was created by ESPEN OEINO. Lurssen was the naval architect. Interior design styling emanated from the drawing board of Zuretti . 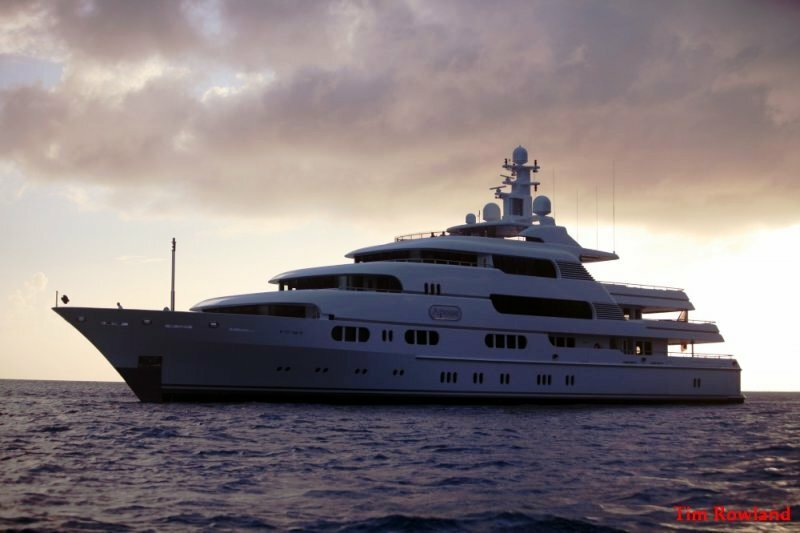 Superyacht Apoise was built with a steel hull. Her private yacht has a maximum beam in metres of 13.2 (43 feet) together with her depth that in metres is 3.5 (11.5 ft). Up top, the structure above deck is aluminium. Apoise when underway has a cruising speed of 14 knots with a range in normal weather conditions of around 5000 nm. 166540 – litre is the max fuel storage limit resulting in her max range. Apoise offers accommodations for a maximum number of 14 guests of the owner. She is actually capable of accommodating up to 18 able crew aboard to enable her tranquil luxury yacht vacation experience. This yacht is driven with Caterpillar. Her flag is Cayman Islands. Call or email a preferred experienced yacht charter broker for advice for chartering Apoise, or for finding out if she is able to be hired for yacht charters. If you are interested, contact a yacht sales broker to see if Apoise is offered for sale to purchase and the value.